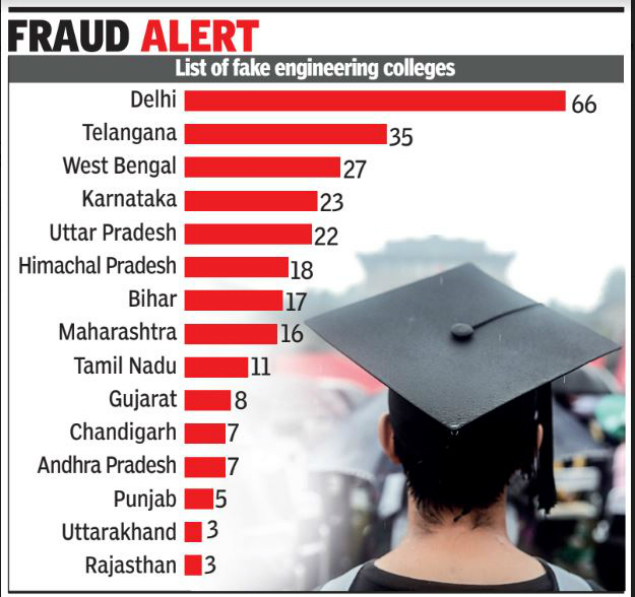 277 Fake institutes are running in India. Delhi is the top ranked in the list according to the survey of "The Times Of India". These technical colleges are offering courses without approval of AICTE. The list of 24 fake universities is released by commission. It is actually very surprising to see that the capital tops the list. Telangana is the second highest where as West Benga is the third highest. According to reports , UGC is monitoring this issue and has sent instructions to the head of state to take action under their jurisdiction.